Text of this guide (for searching): Paint Tools: Stamp Copy. Click on a paint palette in your Navigator Bar; draw a shape. 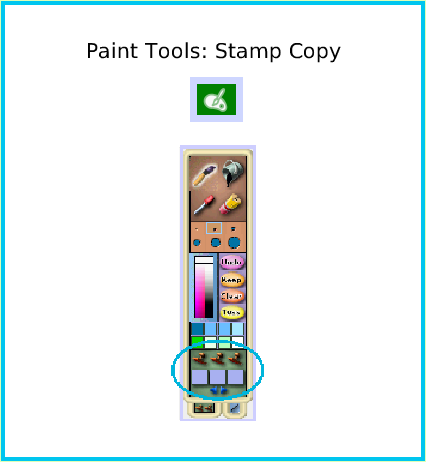 Click the white tab on the left corner of the paint palette to open the stamp tools. Click on a tool. Use the angle that replaces your cursor to drag a box around all or part of the shape. Use the stamp tool to add texture and shading. 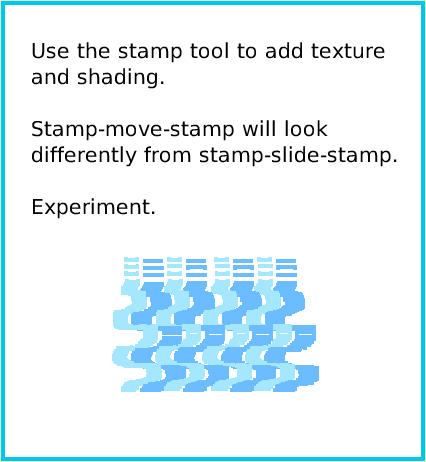 Stamp-move-stamp will look differently from stamp-slide-stamp. Experiment. 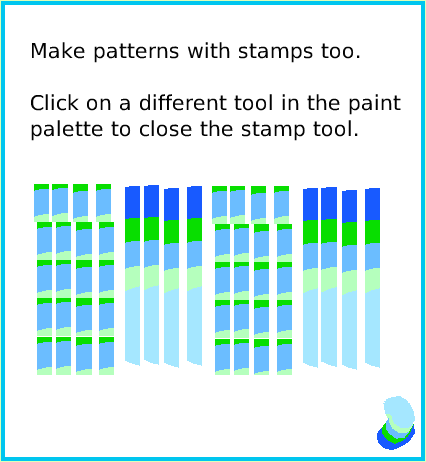 Make patterns with stamps too. 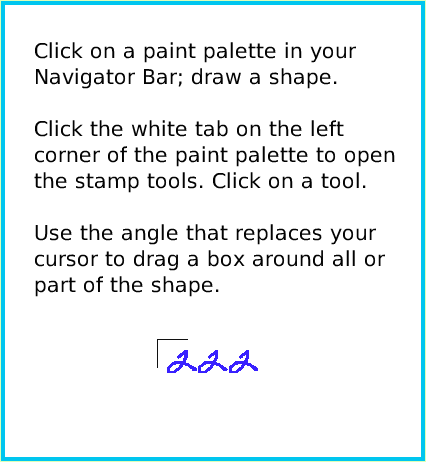 Click on a different tool in the paint palette to close the stamp tool.